Finland’s involvement during World War II is a little controversial. Worried of an impending Russian invasion and with no where to turn, the Finn’s made alliances with the Germans. No Finn’s fought against the Allied forces but many German troops came to Finland in order to fight against the Soviets, especially in areas of Lapland. 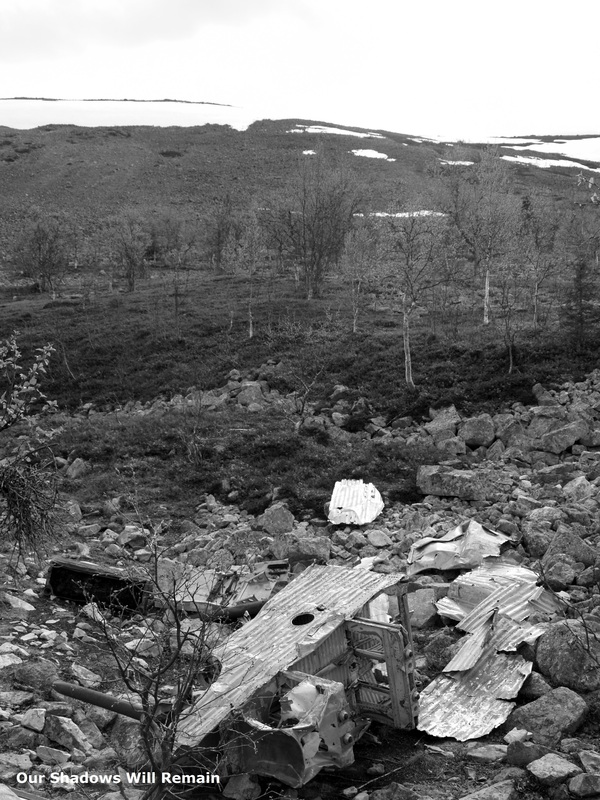 In the Pallas-Yllās National Park in Lapland there is the wreckage of a German transport plane, Junckers JU-52 that crashed into the Aakenus fell during World War II. Now, the wreckage is almost unrecognisable and looks like a tin shed that’s been blown down a hill. For more photographs there are some great close up images on Flickr.